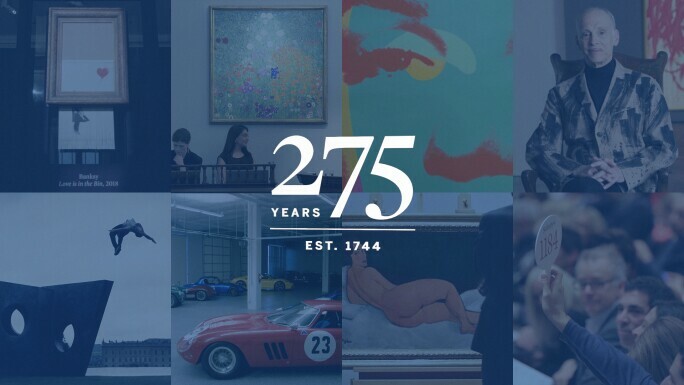 Sotheby’s has been uniting collectors with world-class works of art since 1744, an unrivalled history of reinvention, imagination and market strength. Our 275th anniversary provides us with a rare opportunity to celebrate our landmark moments, initiatives and achievements that have defined us over the centuries and continue to shape the company. To mark the occasion we have looked through the archives to share some of our stories, tales that include record-breaking auctions, great artistic discoveries and encounters with extraordinary figures.